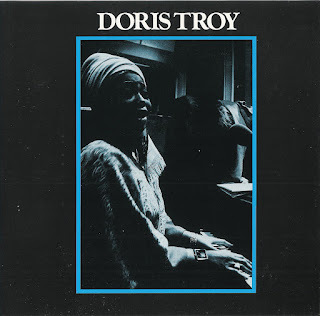 Doris Troy is a rollicking party album, and this particular party included Harrison, labelmate Billy Preston, Eric Clapton, Stephen Stills, Peter Frampton and Klaus Voormann! All of those estimable talents, however, took a back seat to the lady with the smoky voice which could be gritty one minute, velvety the next. It was clear that Troy had evolved musically since the days of “Just One Look.” Harrison’s powerful electric guitar licks on “Give Me Back My Dynamite” couldn’t be further removed from that soul classic. Yet Troy didn’t turn her back on those halcyon days of just a few years earlier; she revisited “Hurry,” which she first recorded at Atlantic, for Doris Troy. If “Dynamite” is rocking soul, Stephen Stills’ “Special Care” was reworked from Buffalo Springfield’s folk-psych into pure R'n'B heaven. On Doris Troy, the singer treats all songs with equal respect, regardless of origin; the Dorothy Fields/Jimmy McHugh standard “Exactly Like You” is taken to the same gospel church as her cover of Joe South’s “Games People Play.” (Spiritual “Jacob’s Ladder” even closes the album on a rousing high note.) 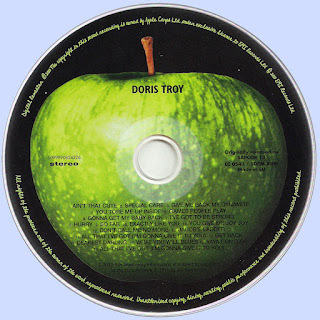 On “Gonna Get My Baby Back,” Troy jams with two Beatles (Harrison and Starkey) and Stills for a track that would make a great sing-along, if only one could possibly keep up with Doris’ insistent vocals! The original CD release boasted five bonus tracks; all five have been retained, and are supplemented with one additional cut, an alternate version of “All That I’ve Got.” Troy sings “You Give Me Joy Joy” (another Troy/Harrison/Starkey/Stills co-write!) on the album, but joy – singly or doubly – is assuredly what this album will bring to any classic soul fan.